A media supply system has never been so elegant and flexible. 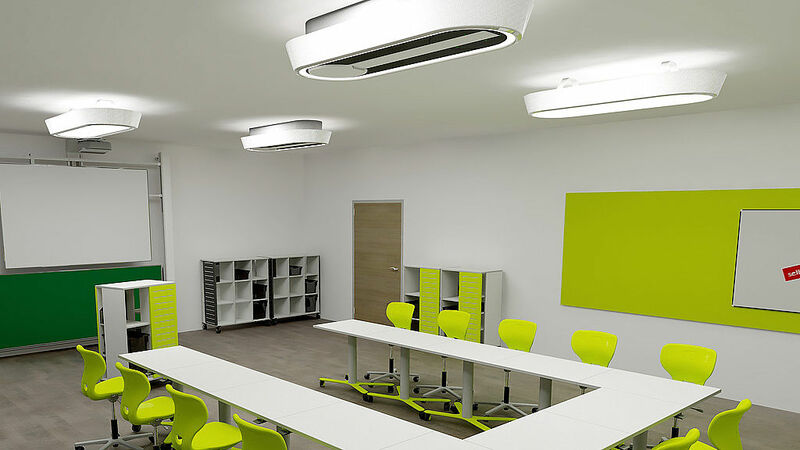 Fly One® is an energysaving, high-performance, LED ceiling light that ensures perfect illumination of the space. When required, Fly One® automatically folds out and can be navigated to any position in three dimensions. What makes Fly One® special? Fly One® provides media, like electricity, data, gas or compressed air where it is needed in the space – precisely and reliably. 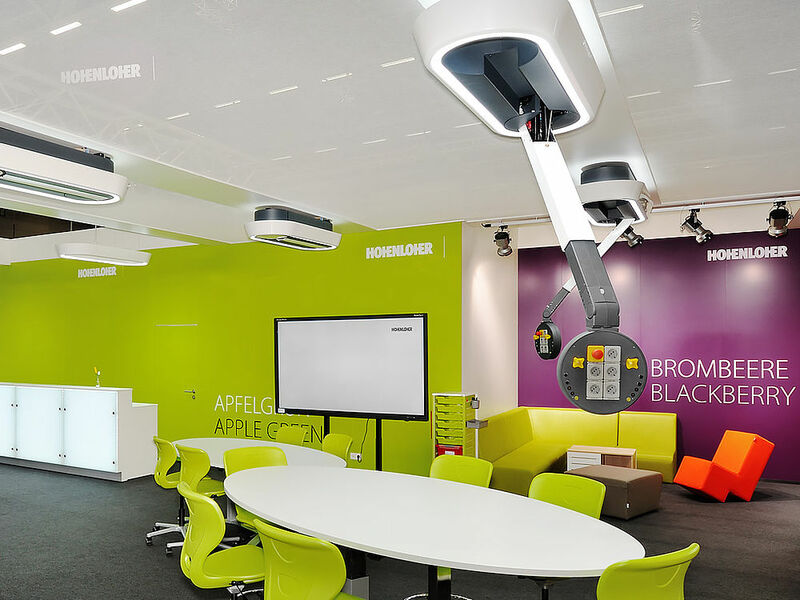 And when it’s no longer needed, Fly One® folds together fully automatically and elegantly from any position at the press of a button and is recessed unobtrusively in the ceiling. Experience breathtaking design paired with extraordinary light technology. 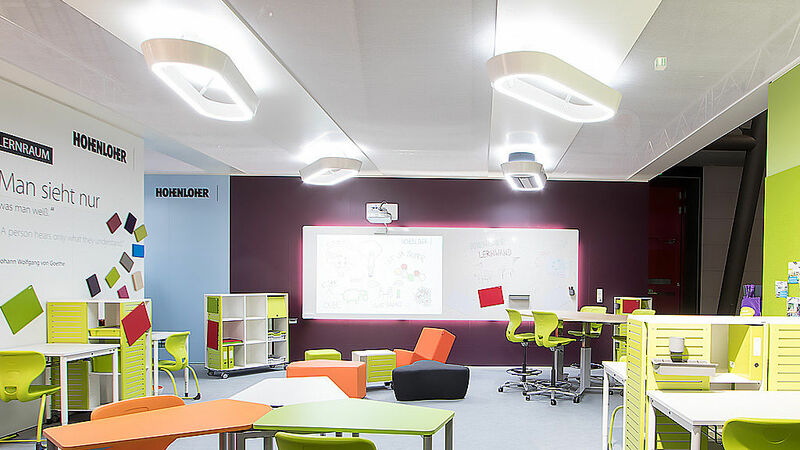 Our Fly Light® increases the power of concentration through daylight spectrum and ensures for the best possible illumination in the room, due to the direct and indirect proportion of light. 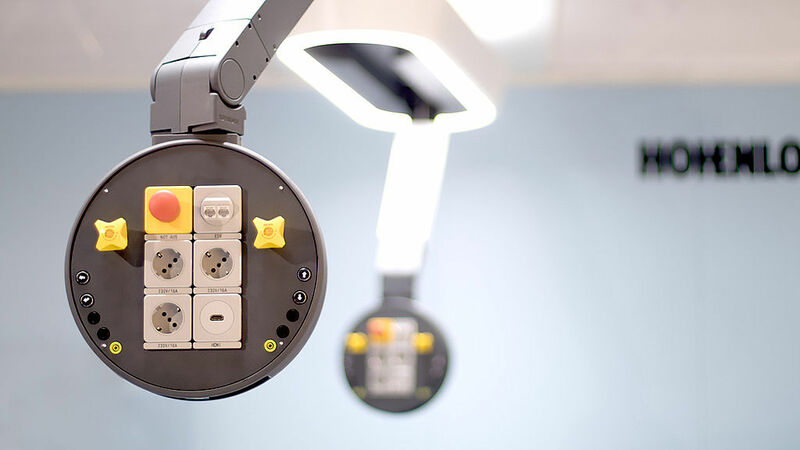 With our LED ceiling light Fly Light® you ensure for perfect illumination of the space. 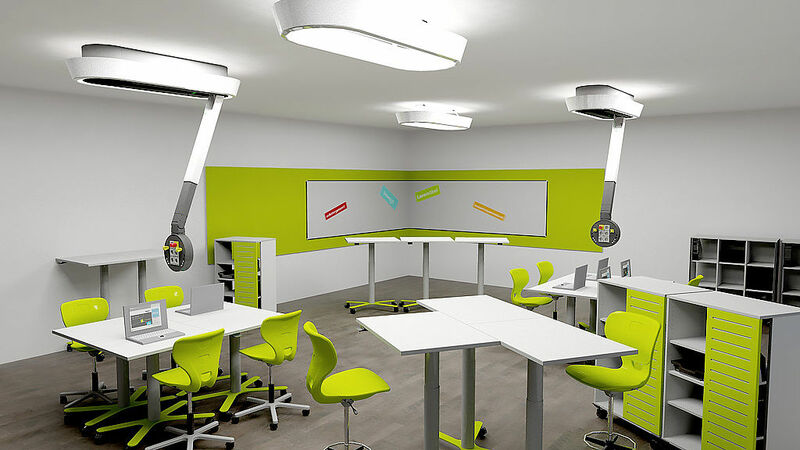 For practice-oriented learning and experimenting, use Fly One® - at the push of a button it folds out and flexibly provides electricity, Internet, multimedia and much more in the room. 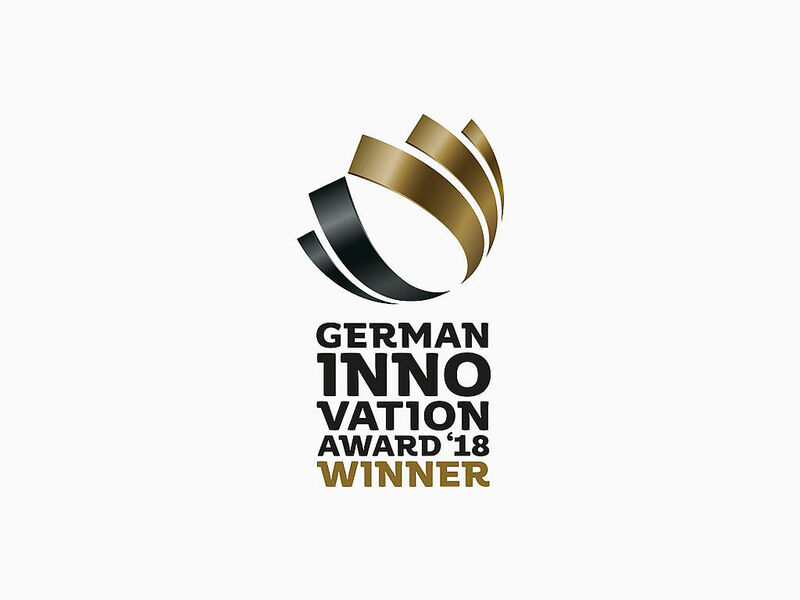 This year the German Design Council presented Hohenloher with the “GERMAN INNOVATION AWARD 2018” for its “Fly One®” high-tech innovation. The high-calibre judging panel thereby elevated the ceiling installation into the company of some of the most successful German innovations in the “building & elements" category. Its level of innovation, user benefits and cost-effectiveness were the key criteria in the presentation of the award. 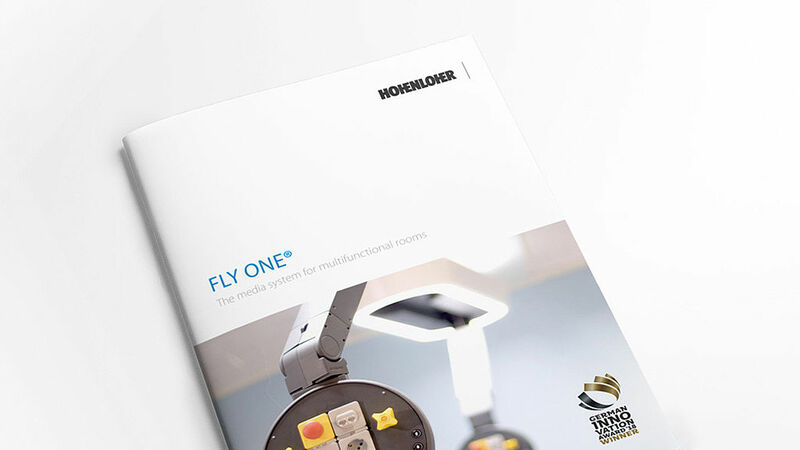 Just discover more details about our Fly One® in our current Fly One® brochure.